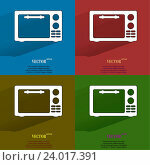 №24017391 Color set microwave. kitchen equipment Flat modern web button with long shadow and space for your text. 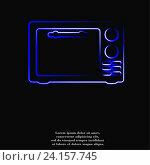 №24143926 Microwave. kitchen equipment web icon. flat design. Seamless gray pattern.